Now that the new year and a new Congress and Presidential Administration are beginning, it is time for policymakers to once again focus on our economy. One matter that needs attention is the Supreme Court’s decision in Alice Corp. v. CLS Bank International. Alice has created uncertainty in the patent/software world unlike any other decision in recent memory. Former Under Secretary of Commerce and Director of the U.S. Patent and Trademark Office David Kappos has described the impact of Alice as “out of control”. Alice confirmed a recent and very problematic version of the judicially-created test for determining subject matter eligible for patenting. 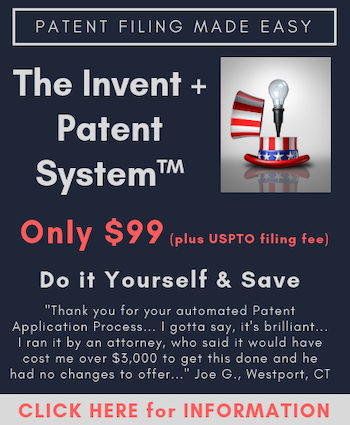 The patent statute has always required that an invention must be of one of four forms to be eligible for patenting: a process, machine, manufacture, or composition of matter. Long ago, the Supreme Court without statutory authority, decided that certain types of inventions, notwithstanding the fact that they fell into these statutory categories, were not eligible for patenting: laws of nature, natural phenomena, and abstract ideas. In Alice, the Supreme Court confirmed its own recently created additional eligibility requirements, consisting of two steps: 1) whether an invention is directed to one of the aforementioned Court-created exceptions to subject matter eligible for patenting, and if so, 2) whether the invention includes additional elements amounting to “significantly more” than the relevant exception. With respect to computer related inventions, including inventions implemented in software, the relevant exception is whether the invention is directed to an “abstract idea”. Abstract idea. Two simple words that are anything but simple. The meaning of abstract idea has eluded the patent community. The Supreme Court has expressly declined to define an abstract idea. Having put forward the notion that an “abstract idea” is an exception to patent eligibility, the Court did not define what an abstract idea is. The failure of subordinate courts, the U.S. Patent & Trademark Office (USPTO) and the innovation community to answer this question for the Court is proof positive it cannot be done. More important, if an abstract idea has not been defined, how can the Supreme Court expect anyone to determine whether additional elements amount to significantly more than an abstract idea? Significantly more than what? Significantly more than something that has not been defined? There is simply no true way to know. A test based upon an undefined standard (abstract idea) and an additional step that depends upon the precise reach of that undefined standard (substantially more) is a meaningless test. The lack of clarity has led many to argue that the test for patent eligible subject matter has reverted to Justice Stewart’s famed “I know it when I see it”. But in fact it is worse than that. Some standards may be properly left to a judge’s discretion and life experience, but no one has any basis for evaluating whether an invention is directed to an abstract idea and nothing significantly more. The impact of Alice has been just what one would expect. The decisions of the USPTO examining corps, USPTO Patent Trial & Appeal Board, and lower courts have been wildly inconsistent. Far too many worthy inventions are being lost. Perhaps worse, the predictability innovators and investors in research and development require to effectively navigate the patent system has been eliminated. Change is sorely needed and overdue. The Supreme Court has thus far declined review of additional cases that might improve clarity, even when presented with meritorious patents that have been invalidated as a result of the current unworkable test. The Court may have an extremely narrow view of what should be patentable, despite the lack of any such guidance in the patent statute. The Court may also be reluctant to overrule itself if it cannot sufficiently define an abstract idea. To accept a case so soon after Alice is to admit this failure and the intractable problem associated with the Court’s judicially created exception. The Court has crafted an unworkable test and simply left it to others to somehow lend meaning to it. As new inventions come along, the USPTO and lower courts can only guess at how the Supreme Court would treat them. Although individual outcomes are sometimes helpful, overall the cases do not provide any clarity going forward. We already know that when the courts are left to consider one invention at a time, they will not arrive at a workable test. At best, the lower courts can only accomplish piecemeal change at a glacial pace, and given the significant impact the current state is having on the patent system and ultimately the U.S. economy, we can wait no longer. That brings us to the lawmakers. Legislation can bring about the needed change, and Congress is the appropriate change agent. Eligibility is about the scope of what can be patented. It is not a matter for the courts to decide in the guise of a minor adjustment to an explicit statutory provision. Defining the metes and bounds of the patent system is fundamental to our country’s innovation policies, and major changes created by the Alice decision are the province of Congress to make – or correct – by hearing from stakeholders and weighing the effect on our economy. Because the exceptions to patent eligible subject matter confirmed by Alice are judicially created – they appear nowhere in laws enacted by Congress – and because Congress has never expressed support for the exceptions, Congress should legislate them out of existence. The Intellectual Property Owners Association (IPO) recently adopted a resolution proposing that the law be amended in a technology neutral way to eliminate judicial exceptions to patent eligible subject matter but for that which exists in nature independently of and prior to any human activity, or which exists solely in the human mind. The amendment would restore consistency and predictability while reducing the risk of foreclosing patent protection for breakthrough innovation. I urge Congress to consider IPO’s resolution. Innovation has been the strength of the U.S. economy since the days of our founding fathers. In recent years the software industry has been among our most innovative and pervasive. Software has evolved dramatically over the past few decades. Software is not just a product in itself, but as the entrepreneur Marc Andreessen observed, “software is eating the world.” It is incorporated into practically every device sold (computers, smartphones, automobiles, appliances, etc), and those products without incorporated software are often developed and manufactured using tools that depend on software (e.g. 3D printing). The U.S. leads the software industry, but reductions in U.S. innovation prompted by uncertain patent eligibility criteria threaten our leadership. Patents promote innovation. The Alice decision and its progeny are reducing innovation. There is no reason to believe significant improvement will come soon from the courts. Legislation is needed so that America continues to be the worldwide innovation leader. The author serves on the board of directors of IPO. Marc Andreessen, Why Software Is Eating The World, The Wall Street Journal, August 20, 2011. What about Ebay, Medimmune, KSR, Bilski, Mayo, Medtronic etc etc etc ?????? Thank you Manny …..Elegant, clear, persuasive and short enough for effective use on the Hill “as is” . Not to mention the fact that what they did is unconstitutional. They have made a rule that any claim that fits their Alice test was unconstitutionally granted because it tends not to promote. http://www.ipwatchdog.com/2017/02/08/thoughts-supreme-courts-section-101-jurisprudence/id=78166/ ) I was forced to step back and read the 1852 SCt. decision of Le Roy v. Tatham. That apparently was the start of a long saga of the SCOTUS getting it wrong re the underlying technology and then doubling down on their misapprehensions time and again. In LeRoy they could not grasp basic metallurgy. In Benson they had no clue as to why a re-entrant register is physical and specific apparatus. In Myriad they pictured the DNA molecule as a tree from which one can easily pluck readily apparent leaves. In Alice they invented King Tut’s abacus man and the mythical 2nd year engineering student plucking over weekend’s last dawning on his “generic” computer. When and where will the insanity end? Fie on alleged insanity and endless hand-wringing! May I introduce my beautiful (but not so young) friend Miss Direction? She has for many years been concentrating legal minds on the judicial exclusions and away from the four statutory categories within section 101. Her unbounded success in that regard helps maintain her cheerful radiant appearance. It is necessary to consider at the outset of an eligibility analysis whether an invention falls as a matter of substance within one of the four statutory categories. Merely calling claimed subject-matter a process, machine, manufacture or composition of matter does not automatically make it into one of these things, any more than calling the tail of a dog a leg as in President Lincoln’s story truly makes it into a leg. It is necessary to consider whether the subject matter in reality falls within a relevant category using the long-established tests in the case law summarised in MPEP. For example, an isolated sequence for gBRCA1 does not fall into the composition of matter category and was eligible, if at all, as a manufacture. The Justices of the Supreme Court in Myriad knew that, as is apparent from the oral argument. However, rooms full of biotechnology attorneys in the US to my personal knowledge are incapable of recognising this distinction and of providing an explanation why composition of matter is an inappropriate category. But if claimed subject matter truly falls into one of the eligible categories, then judicial exception cannot remove it because under the separation of powers doctrine a court can interpret a statute but cannot amend it. The late Justice Scalia was well aware of that fact and wrote about it at length. Evaluating the judicial exceptions without first considering the relevant section 101 category is therefore a mistake unworthy of an intelligent layperson, and even less worthy of a qualified attorney or judge. But nowadays it is almost endlessly repeated in articles, briefs and judgments. Hopefully our profession will soon draw back from this elementary error. And as regards eligibility, a major part of the remedy is available to all and can be applied immediately in our daily work. The four categories are known and so is the relevant case law. What we as practitioners have to do is to make sure that the claims in our specifications are drafted with those categories in mind and indeed positively fit as a matter of substance and not mere dress into one or more of them. If we do that, and ensure that new results and new utility supports our claims, then we should have less to fear from judicial exceptions. Congratulations on an excellent article! Legislation to amend section 101 is the only solution. People should urge Congress to consider IPO’s legislative proposal at an early date. Disclosure: I am IPO’s retired executive director. Congress must pull the judiciary back from its broad and uncertain “judicial exceptions” to the four statutory categories. Actually, “judicial interpretations” would be better terminology. The courts have no constitutional authority to make exceptions to the four statutory categories. The four categories date back to the patent act of 1793. Granted, finding the right words to describe the section 101 issues is tough. The label “abstract idea” itself is problematic. Aren’t all ideas abstract? What if this attempt at legislation backfires? What if Congress just codifies the judicial exceptions into a new 101 provision? What if the Trumpster disbands Congress and appoints himself as Supreme Leader and Director of the Patent Office? Or worse, what if SCOTUS effectively disbands Congress and appoints itself as Supreme and Final Arbiter of all things patent eligible? Oh wait. They kind of did. Didn’t they? Something significantly more. We know it when we see it. All thanks to our supremely inquisitive and ingenious minds. But that is not what the Court said. Instead, the Court did not even make that an objective (as in factual) point. They did not because they could not. They could not because what they actually said was that such MAY tend not to promote. They based their decision on a future, purely speculative and quite frankly unsubstantiated basis. The limits of the Supreme Court include no advisory opinions. When the Court renders an opinion on what they feel MAY happen in the future, that is the epitome of an advisory opinion. It also happens to be a policy-based advisory opinion in an area of law Constitutionally delegated to a different branch of the government. Their decision – as it has been written – is in fact ultra vires. May I yet again remind you that this error in judgment does in fact come from the very top (the Supreme Court) down? There is but one sure-fire remedy to such machinations of the Supreme Court…. @9: you are right it was “may”, which of course is even worse. But, consider that even “does not” is not Constitutional as they are making findings of fact about inventions that have not even happened yet. The Alice/Mayo framing game is riddled with many more lies, deceptions, fabrications and misleads than might first meet the eye. Ultra vires findings of alternative facts is one aspect of these cases; yes. There is also a hobgoblin of wordsmithing designed to confuse and tilt the rational mind off balance. Surrealistic stuff like “abstract ideas”, building blocks of ingenuity and that elusive “something more”. One has to start speculating that Clarence (a.k.a. the Clown) did not come up with this level of deceptive manipulation on his own. The Russians might have helped (perhaps) or the Chinese (maybe). Which world class players have an interest in toppling the American patent system? Was it outsiders, insiders or both? Notwithstanding my comment at (5), the IPO Report is a substantial and very welcome piece of work, running to some 36 pages with 143 footnotes, many containing multiple caselaw citations. Such a document is not to be fully digested in an evening or even a weekend, but the collection of references it provides is likely to prove invaluable. (c) to conduct critical analysis to identify how the courts are likely to react to the change wording and whether it will create the effects intended or will be avoided by the courts. For example, should the existing definitions of “process”, “machine” and “manufacture” be changed to adapt them to modern conditions and especially to software inventions? Can this be done without introducing enhanced standards of disclosure for software inventions? As suggested by Warren Woessner, should there be special provisions for medical testing and diagnosis, reversing by statute the infamous Ariosa decision? Manny is right to draw reader’s attention to this important piece of work, and notwithstanding my doubts about the practicality of a legislative fix, the proposal deserves the support of readers and for US citizens (of which I am not one) their representatives in Congress. to be coherent you must explain which of the four forms is a law of nature? 32 ft/s/s acceleration is a . . . process? which of the four forms is a natural phenomenon? the northern lights is a . . . machine or composition of matter? which of the four forms is an abstract idea? meditating on the word “OM” is a . . . process? how easy is it to criticize the judiciary who have to make decisions interpreting the framers intent? consider an developer/inventor whose company has purchased a chip made by IBM. a patent attorney asks him “how is the coordinate data transformed into geometric data in the chip?” the inventor will likely say “i don’t know i didn’t make the chip”. that developer may face a challenge in obtaining a valid patent. there is no excuse for IBM patent attorneys writing claims directed to results or vague functional activity because the IBM engineers are fully capable of explaining in minutest of details the machine parts of their inventions. so why are you complaining? remember to claim what it is, not what it does. sound familiar? SCOTUS did not say that patentable subject matter includes “anything under the sun that . . . [results from] . . . man”. therefore, the claims must recite what the inventor *made*. doesn’t a novel and useful algorithm improve the machine? has any court determined that a properly claimed algorithm (i.e. what it *is*) isn’t patentable? @15 >>there is no excuse for IBM patent attorneys writing claims directed to results or vague functional activity because the IBM engineers are fully capable of explaining in minutest of details the machine parts of their inventions. so why are you complaining? These type of comments are so offensive to a person like me trained in science and engineering. The functional language is used in textbooks to teach science and engineering and has a clear meaning to represent those known solutions and there is no way to write or describe it without functional language short of 1,000’s of pages that provide all the minute details. Mark Lemley is a highly unethical person and Stanford should conduct an investigation into his unethical conduct. His paper on functional claiming was highly, highly unethical for knowingly not including facts about functional language and how it is used by people skilled in the art, for misrepresenting citations in the paper, and for misrepresenting the history of patent claims. It is a national disgrace that Mark Lemley who regularly acts in an unethical fashion has been quoted by the SCOTUS. And, a disgrace that Stanford has not expelled him. It pays to study the case law, in this case the definition of “machine” in the MPEP. “The specification declares that his improvement consists in “the employment of a new and useful machine for rolling of puddlers’ balls;” again he calls it “my rolling machine,” and describes his “machine as consisting of a cast iron cylinder,” &c. In fine, his specification sets forth the “particulars” of his invention in exact accordance with its title in the patent and in clear, distinct, unequivocal, and proper phraseology. It is highly unlikely that Mr Justice Grier would have favoured a patent claiming a result without proper and sufficient definition of the features that in combination achieve that result. Nor should such claims be tolerated nowadays. Manny’s main complaint is not about Alice, but about Bilski, the case that invented “abstract.” Alice and Mayo only stand for the proposition that if a claim involves a law of nature or other unpatentable subject matter, that the invention must lie in the application – the means. The real problem is not in Alice or in Mayo, but in Bilski. The way I see it, the claims in Bilski, albeit directed to a method of balancing risk, were not abstract in the sense that the Supreme Court had used the term previously, in cases like Le Roy v. Tatham or O’Reilly v. Morse. Abstractions were principles, effectively laws of nature expressed at a very high level without any specific application. The claims in Bilski were hardly directed to laws of nature or principles expressed at a very high level. The dissent in Bilski would have simply reversed State Street Bank and held business methods ineligible subject matter – not patentable outside the means for implementing them. Since many business methods are implemented in software, if claimed properly, there should be no problem in patenting the software and other means that implement business methods. As I have often stated here, I think the Federal Circuit got it wrong in Versata. Even though the claims in that case for calculating price, the essential innovation was in the software which made the process much more efficient. While I would be open to a statutory fix that would address the problem with the lack of definition of abstract, or to confine it to its proper place in the analysis under 112, I would not and do not support the proposal of the IPO. For one thing, the analysis assumes that the law of nature, product of nature exceptions have to do with the four categories. They do not and never have been. They have to do with requirement for invention that something new be created. New is in the statute, and it has been there since 1793. The Supreme Court has repeatedly said that the basis for holding products of nature and laws of nature unpatentable under 101 is that they are not new, albeit previously unknown. And, as I have said, the essence of the abstract is exception is rooted in what is now 112. The full scope of the invention has to be described and enabled. If it is not, it is a problem under 112. Clearly when one looks at the claims in Bilski, they had no problem under 112, and that is why they were not abstract even though the court said they were. Paul, Deener, of course is in direct contrast to this opinion. The problem is simply understood as scope of enablement. Of course you if the novel feature is the combination of functions (Deener) you should be able to claim that. If your invention is a machine that performs a function, then you can claim it in that way and you then enjoy a scope of the claim as broad as is enabled by the spec. plus what one skilled in the art would know. That is how engineering works in practice. That is how textbooks are written, and how engineers describe their inventions internally to each other. Etc. That is realty. I wish people would stop playing games with this. It is very easy to understand and shouldn’t be a problem. And the thing that is ridiculous about that case is that if a person skilled in the art discusses a function of a machine and it is known in the art how to implement that function, then it is not just a bare function. A specification is not supposed to include the knowledge of POSITA. That is always another part of this game. Leave out the POSITA and what they know. Just loopy and ridiculous. Night@20, what you say is particularly true of software. Tell a programmer what function to program, and he or she can program it. That is why so many of patents today are just ideas with no actual implementation: mere architecture and no concrete. So I claim the self driving car: configure a computer to drive a car based on data from position sensors, stored road maps, radar, and traffic signal sensor means. Well there has to be a lot of software involved in doing that. But, shouldn’t we reward to the programmer who actually figured out how to do it and not the guy who came up with the idea of doing it but who, in fact, did not do it? Scope of enablement. The 112/102/103 will take care of all the problems you mention above. One cannot have valid claims that are not enabled and non-obvious over the prior art, and then you are only entitled to the scope of the enablement. That fixes all the problems you mention. and in the miracle of the make-it-so (“apply it”) incantation. So do the SCOTeti of Alice/Mayo fame. You believe that people actually file patent application with three word “ideas” like self-driving car or solvency maintaining computer (Alice) or DNA tree leaf plucker (Myriad) followed by the words “apply it”? Where are these mythical one page patent applications? Have a think about 35 USC 112(f). If you claim means but disclose no supporting structure, you are dead. Unsupported black boxes don’t work, see Amtel Corp v Information Storage devices (Fed. Cir. 1999). It is often overlooked that precisely the same applies to step + function. It is not enough that the person skilled in the art knows how to implement the structure (e.g. high voltage generating means disposed on a semiconductor circuit) and that it is commonplace: the supporting structure must be disclosed. Precisely the same is true for step + function, although cases on steps are less common. If you have not got the supporting structure, in software commonly a flowchart, you are dead. And even if you do not fall strictly within the provisions of 112(f), you ignore its advice to disclose supporting structure at your peril. Every term in the claims needs to be properly disclosed with discussion of equivalents. The advice of the Federal Circuit in this regard in Sage Products v Devon Industries (Fed Cir, 1997) should be read and understood by all in our profession. And it is necessary to consider who are the real addressees for your patent specification. NOT just the skilled programmer at the next workstation. Initially a patent examiner who probably does not have the same knowledge and experience and needs to be able to read the specification and understand what is being contributed. Next a judge in the Appeal Board, a District Court or the Federal Circuit who will certainly not have that experience and may not be technically trained (the panel majority in Ariosa/Sequenom were economists; Judge Rader’s first degree was in English). Finally a jury of twelve people gathered off the street, more or less at random, to decide on validity and infringement. Mom and Pop need to be able to read the specification, understand what has been done and understand why it makes an ingenious and worthwhile contribution. If they can’t do that, you are dead. After State Street Bank (Fed Cir., 1998), those in software became deluded that you did not need new function or result for patentability, and you did not need proper supporting disclosure. The USPTO and courts are currently living with the results of the ensuing rush for fools’ gold. The patent in issue US 5193056 repays study as does the file wrapper of the corresponding rejected EP-A-0575519 and the reasons for rejection by the EPO. If you study the drawings and note the black boxes optimistically labelled e.g. (Spoke A) LOAD FUND, you appreciate that the most straightforward objection which might well have avoided a trip to the Federal Circuit in 1998 was 35 USC 112(6) as it then was. If you think about it, every idea is “abstract.” I am not even sure what a “non-abstract idea” would look like. @24 Paul. I am well aware of the state of the law and what is required in a patent application. You should read Deener. The question is how much of this is judge imposed nonsense and how much of this reflects the underlying technology and the way technology is developed. How much of this is a real problem and how much is a judge generated problem. Be very careful in your incantation of 112(f), as you are on the edge of one very large fallacy. Terms sounding in function was one of the items greatly liberated in the Act of 1952. Such are NOT constrained to 112(f) by any means [pun intended]. This is certainly not true. Moreover, let’s remember that this case is 20 years old so all the arguments about there being no prior art are gone. And, now the anti-patent crowd is trying to generate new arguments. Let’s make it clear. I do patent application (I’ve written hundreds) for biotech, mechanical, EE, and CS. I see no difference in them. The inventors tend to describe everything functionally because they know the solutions and that is the way people in all the arts speak. They all speak functionally. So, to ignore how real inventors/scientist/engineers work is ridiculous when their means of working should be the basis for understanding what is needed. Scope of enablement fixes the problems. I just don’t see any of the problems that supposedly exist. angry@29, my point, actually. Claims that are unsupported for their full breadth are invalid under 112. That particularly is true if one simply claims a idea with no practical way of achieving the result described in the specification. A good example is the transporter. Simply putting them black boxes for the critical components should not be enough to award a patent particularly if others are working on the project and are nearly there. But that leaves the question of what was wrong with the Bilski claims if they were not “abstract.” Both the Federal Circuit and the Supreme Court thought they were not eligible, but clearly they did not all agree as to the reason why. The simplest and most direct approach, an approach that would have caused the least difficulty to all of us, would have been to simply declare that they were invalid because they were business methods. Such a ruling would have caused the least collateral damage to the patent law. But rather than go this route, everybody recommended something different from the MOT to abstractness. But the simplest route would have been the best route. Hindsight is always the best judge. Wouldn’t it instantly invalidate a large chunk of existing patents owned by e.g Amazon (e,g, 1-click patent), Ebay and countless of others ? angry, I don’t know. It depends on whether the claims are claiming some improvement to the way computers or computer systems operate, or whether they are claiming something that involves business. I would think the 1-click is more of the former rather than the latter. Why not reveal the true “true” reason? Because the patent owner had the audacity to sue a too big to infringe entity (TBTIE). @32 So, Ed the Ned thinks that a machine that performs business functions is ineligible because of ………why?……….IT’S A WITCH!!!!!!!!!!!!!!!!!!!!!!!!!!! Just such short-sighted anti-technological views should not be held by people with your education Ed the Ned. We should get rid of 35 USC 101. Limiting inventions to four statutory classes seems arcane and foolishly predictive of what will be useful in the future. Also, as a computer engineer I find it laughable that a programmable machine driven by software instructions compiled from a computer language such as C++ is somehow considered abstract and treated differently than a hard-coded machine created by compiling a hardware description language or even C++ statements. Programmability (e.g., the use of a generic computer) should not be involved in determining patentability. Novelty and obviousness are sufficient if properly applied. Why has SCOTUS not grasped this? On a similar note, there’s an article that discusses how the USPTO has handled interpretation of 35 U.S. Code § 101, the ramification of Court decisions like Alice and Enfish, and where we need to look to get lasting solutions.